PBO- Process Before Output-It determines the flow logic before displaying the screen. 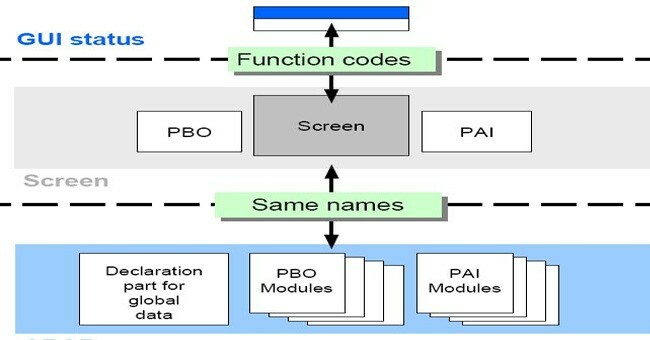 PAI- Process After Input-It determines the flowlogic after the display of the screen and after receiving inputs from the User. Thank you very much for your post! , I had a hard time finding what those acronyms mean.